Christmas is coming and quadcopter (aka RC drone) is a great idea as a present for your geeky friends and family members! This article is written for those who don’t know much about drones, but want to buy one as a present. I will explain the important considerations and provide you with some recommendations in 2018. The quadcopter you buy should come with all the necessary accessories for flying, such as batteries, charger, radio controller and spare propellers. If it needs anything extra, it should state so in the product description, so please check carefully. A basic toy drone won’t break the bank. As soon as you are looking at models with more features and power, that’s when it starts to get expensive. We recommended some of highly affordable options later in this article, and we believe they are great for beginners trying to into the RC hobby. Depending on what you are after, you can get some pretty good deals for as cheap as $14! As beginners, don’t be surprised to crash your drone many times before mastering the piloting skills. Therefore being crash resilient is very important. Having propeller protectors can be extremely valuable, because it protects the propellers as well as whatever the drone hits in collisions. Having a Camera is a Great Bonus! Flying a drone by looking at it, is fun. That’s what we call “line of sight” flying. But there is another way of piloting the drone, called FPV – first person view. It basically means the pilot can see what the drone sees on a video goggles or display, and it’s like sitting in the cockpit. A drone that has FPV capability usually costs more because of the extra hardware – camera, video transmitter and receiver, and the display equipment. Beware that some drones might be equipped with a camera, but it may be only for recording flight footage and not for FPV flying. Want to Get Into Drone Racing? There are a lot to cover! If you know someone trying to get into drone racing, or just want to fly a drone in general, I have written a guide on the subject: the basics of a racing drone and how to get started flying one. Feel free to share the article with them to learn more. If this is for Christmas, you probably want to get your order placed as soon as possible because stock don’t tend to last, and there is usually delay with delivery due to the busy holiday season. These drones are possibly the cheapest you can find on the market. They come with a radio transmitter and battery, so you can fly them straight out of the box. You don’t have to mess with anything and they just work. Here is our review of the Eachine H8 micro quad. The cool thing about the E011, is that it’s upgradable! You can buy extra parts to turn it into an FPV capable drone. I explained how to do this in this guide (I was using the older version E010 but they are basically the same quadcopter with different canopy). The following drones come with video goggles and it allows you to fly FPV with them. 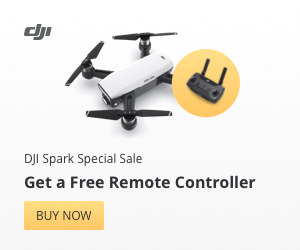 These are pretty good deals IMO if you just want a taste of what it’s like flying a drone with camera. The Eachien Q90C is a slightly more powerful option, with a more ergonomic controller. If you want to fly outdoor, the Q90C is better. The video goggles are the same as the E013 however. If the two above are out of stock, take a look at the following ones, they are also good options. The E010C is great value for the money as it comes with onboard camera and video transmitter. However the video goggle isn’t included so you would have to get it separately. There is an affordable video goggle I can recommend later in this article, read on. The QX95 might seem a bit more pricey because it comes with a better quality radio transmitter than all of the above toy drones. You can even use this transmitter on a bigger racing drone in the future. In the long run you could save money if you plan to build a bigger model. Here is a good review of the QX95. To buy the video Goggles separately, I’d recommend the Eachine EV800. It’s one of the cheapest and most basic goggles, a very popular option thanks to its value and performance. For someone who has already owned a drone, they probably have higher expectations. So you might want to consider something more powerful and higher quality. I reviewed the Kopis 2 racing drone recently, and I think this is probably my favourite pre-built model in 2018. It came pretty much setup and flies well out of the box, just you need to bind the model to a radio transmitter. The DJI Mavic Air was released in 2018, and it’s probably one of the most versatile camera drones for taking professional looking aerial footage right now. The image quality is excellent and smooth, and it’s extremely portable thanks to the foldable arms. It’s so small it can literally fit in your pocket! ← Could DJI’s new flight simulator help fine tune your flying skills?